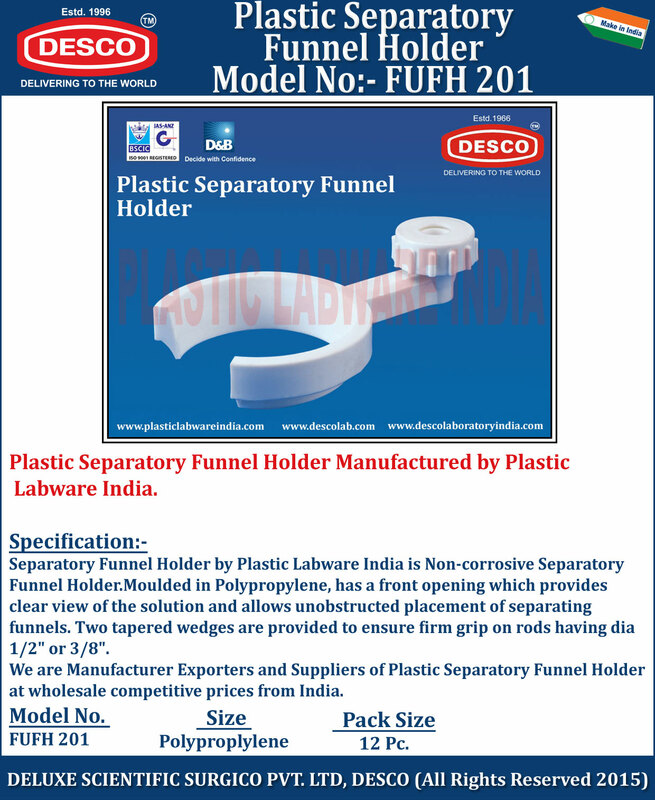 Separatory Funnel Holder by Plastic Labware India is Non-corrosive Separatory Funnel Holder. Moulded in Polypropylene, has a front opening which provides clear view of the solution and allows unobstructed placement of separating funnels. We are Manufacturer Exporters and Suppliers of Plastic Separatory Funnel Holder at wholesale competitive prices from India. FUFH 201 Polyproplylene 12 Pc.